FMCBC March e-news: Upcoming AGM, our newest member club, Donut Hole exploratory mining proposal, and more! FMCBC 2019 AGM - Save the Date! 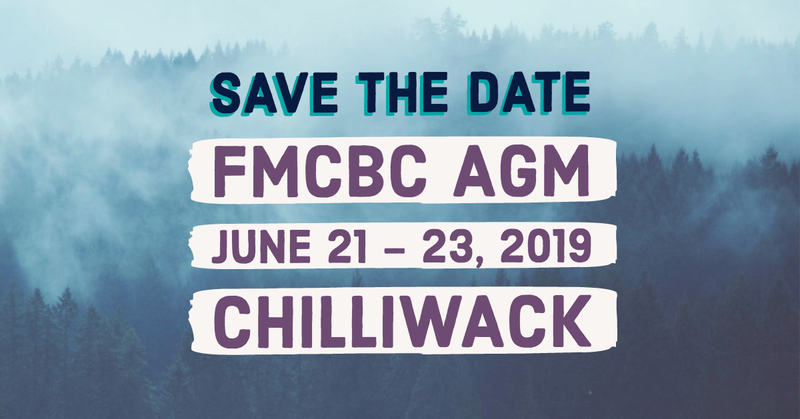 The 2019 FMCBC AGM will be held in Chilliwack over the June 21 - 23 weekend! This annual gathering is open to FMCBC directors, club reps and members and is a great chance to share ideas, build partnerships and help shape the future of both the FMCBC and non-motorized outdoor recreation in BC! There will be some great activities planned, including social events and opportunities to explore the local trails. The FMCBC covers travel costs (per km rate for car travel plus ferry or bridge tolls) for FMCBC directors and for club representatives. All other FMCBC members are welcome to attend the meeting and participate in the weekend events, but travel costs are only covered by the FMCBC for those people attending as representatives of their clubs. More details, including the registration form, will be released as soon as they're available. FMCBC welcomes the Kamloops Outdoor Club! A big welcome to our newest member club, the Kamloops Outdoor Club! The KOC was founded in October of 1936 and originally centered on local hiking, interspersed with riding, archery and tobogganing, Today, the KOC's regular local trips are still the mainstay of the club's year-round activities. But the KOC's recent activities also now include canoeing, cross-country skiing and trips to to more distant areas. You can learn more about the Kamloops Outdoor Club on their website and on Facebook. Last chance for Cloudburst submissions! The deadline for Cloudburst submissions has been extended! You now have until April 15h to contribute to the Spring/Summer 2019 issue. Submissions will not be accepted after this date. We accept stories, articles, photos (including warm-weather cover photos), poems, musings, teachings, gear reviews, trip reports and anything else to do with non-motorized outdoor recreation in BC. Please send your submissions and questions to stacey.santos@mountainclubs.org. Also, please note that this issue, like the last issue, will be digital-only. Does your club have a trail project or community event in mind but lack the funds to make it happen? Good news: Our 2019 Member Club Grant application will be available on April 1st! The link to the form will be posted on our Member Club Grant page. Please note that the deadline for grant applications is April 30th, 2019. Also, don't forget that if you received a Member Club Grant last year you must fill out our Grant Reporting Form in order to be elible for funds this year. In the meantime, you can check out this general information on our grant program and helpful tips on how to fill out the form. Exploratory mining work proposed in Manning Park "Donut Hole"
As you may have already heard, Imperial Metals has submitted an application to carry out exploratory work on their Giant Copper claims in the "Donut Hole," an unprotected piece of land surrounded by Manning Provincial Park and Skagit Provincial Park at the headwaters of the Skagit River. The Outdoor Recreation Council of BC put together a great information package on this critical and time-sensitive issue, including more details and application info, and a must-read opinion piece that outlines some important requests to consider when submitting comments of your own. Check it out here and be sure to spread the word. You have until April 19th to send in your response to FrontCounter BC! After a disappointing BC Budget 2019, which left BC SAR with an uncertain future, the province delivered a historic funding announcement: $18.6-million in funding for BC SAR teams, to be used over the next three years. Said BCSARA President Chris Kelly, "Thank you Minister Farnworth for the announcement of the largest single influx of funding in the history of ground search and rescue in the province. This means that the 2,500 volunteers can count on core funding for the next 3 years, for essentials such as personal protective equipment, training and operating costs. The funding allows for the continuing delivery of the AdventureSmart programs, teaching kids through to adults how to stay safe in the outdoors. And this funding will see critical incident stress management services, delivered by specially trained peers, continue to assist many of the volunteers manage the impact of the services they provide." In the last four years, traffic along the Squamish Valley Forest Service Road has nearly doubled. And unfortunately, that increase in recreation has resulted in some less-than-desirable behaviours by campers. So, the province is asking the public to provide location-specific input via a survey and an interactive map! Read more about it. The Ministry of Tourism, Arts and Culture recently launched a new strategic framework aimed at guiding year-round tourism growth while protecting British Columbia’s natural environment. At the same time, Destination BC released the 2017 Value of Tourism Snapshot, which provides interesting insight into the economic value of tourism in British Columbia for 2017. Applications for Mountain Mentors' 2019 Summer Mentorship program will be open from April 8 - April 18! This program is designed to pair experienced climbers with aspiring mountain athletes who share achievable, mountain-based goals. Learn more here. 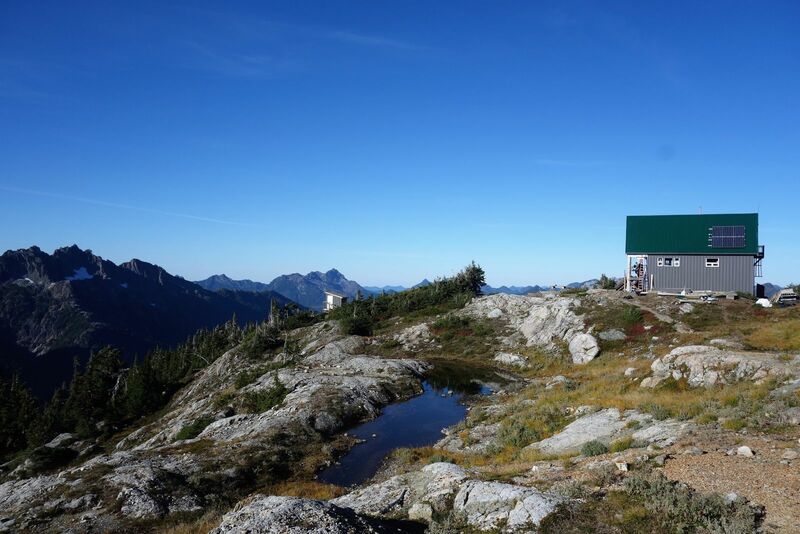 Interested in being a hired guide for a Mt Baker summit climb on June 28, 29 and 30, 2019? We know someone who's looking for a guide! If you're interested, contact us and we'll put you in touch. The Outdoor Recreation Council of BC now has a Facebook page! Like it, share it and help support outdoor recreation in BC! BC Parks is in the process of developing a management plan for Ancient Forest/Chun T'oh Whudujut Park and Protected Area and Slim Creek Park. The public comment period is open until the end of April. 105 Hikes in and Around Southwestern British Columbia by Stephui Hui is back on the BC Bestseller List! New to backpacking or looking for a refresher? Jessica (Dixie) Mills, who last year completed the triple crown of the Appalachian, Pacific Crest and Continental Divide trails, has just produced an excellent 14-part series on backpacking. The episodes cover shelters, sleep systems, footwear, clothing, insects, water purification, food and cooking systems, electronics charging, first aid, hygiene, weather, ten essentials, packs, and a backcountry camping basics wrap-up. Check it out here! Mike Nash of the Caledonia Ramblers put together a neat video of the club's recent snowshoe trip to the Grand Canyon of the Fraser. An audit of five range agreements for grazing cattle in the Rocky Mountain Natural Resource District found that the ranchers met the requirements of the Forest and Range Practices Act, according to a FRPA report. An audit of BC Timber Sales (BCTS) and timber sale licence holders (TSL holders) in the Dawson Creek Timber Supply Area portion of the Peace-Liard business area found compliance with B.C.’s forestry legislation, with a few exceptions, according to a FRPA report. A Timber Supply Review is currently in progress for the Cascadia timber supply area, which is scattered across British Columbia, mainly in the northwest and southeast of the province. Feedback is welcomed on any aspect of this analysis report until May 6, 2019. Learn more. Thanks to the Kamloops Outdoor Club for this month's feature photo, taken in mid-March on Sabiston Creek trail (north side of Kamloops Lake near Savona). Trip participants tackled 13 kms in 5 hours with 1550 feet of cumulative elevation! Click here to view our Fall/Winter 2018 issue of Cloudburst. Use our online form to report motorized recreation observed within BC Park boundaries. Visit Canada Helps to make a donation to the FMCBC. All donations go towards our Member Club Grant Program. The FMCBC is always looking for volunteers. Click here to find out how you can get involved. As always, the FMCBC would like to thank Mountain Equipment Co-op for supporting the FMCBC through their generous contribution of office space from which to base our administration. Copyright © 2019 Federation of Mountain Clubs of BC, All rights reserved. You are receiving this newsletter because you have signed up to receive our newsletters.